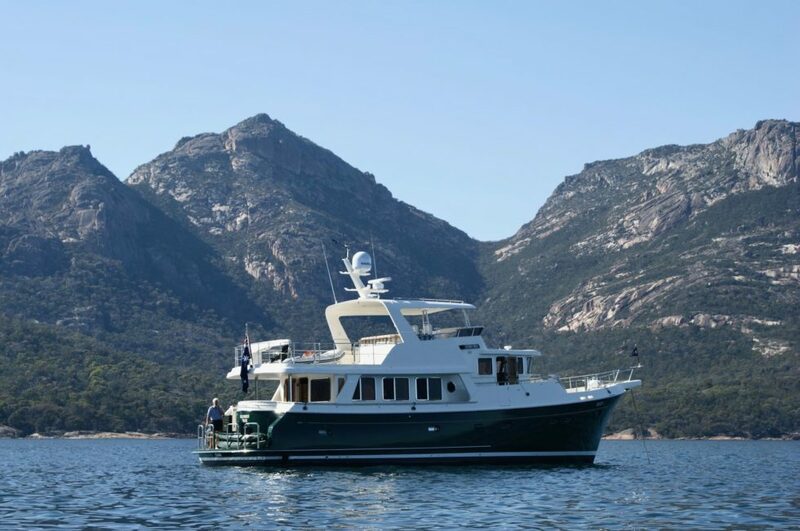 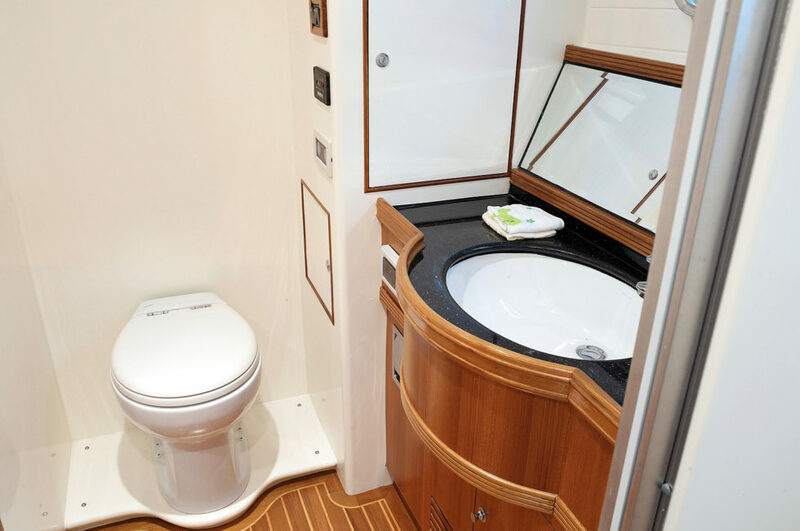 The Selene 60 is a completely new design from an entirely new mold with the Selene Deep Hull™ structure resulting in a raised sheer and a significantly higher deck which generates increased headroom in the cabins and the engine room. 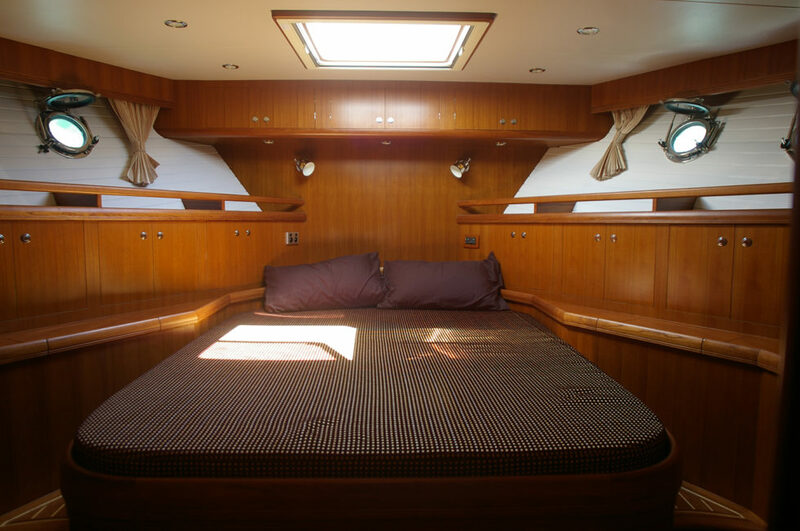 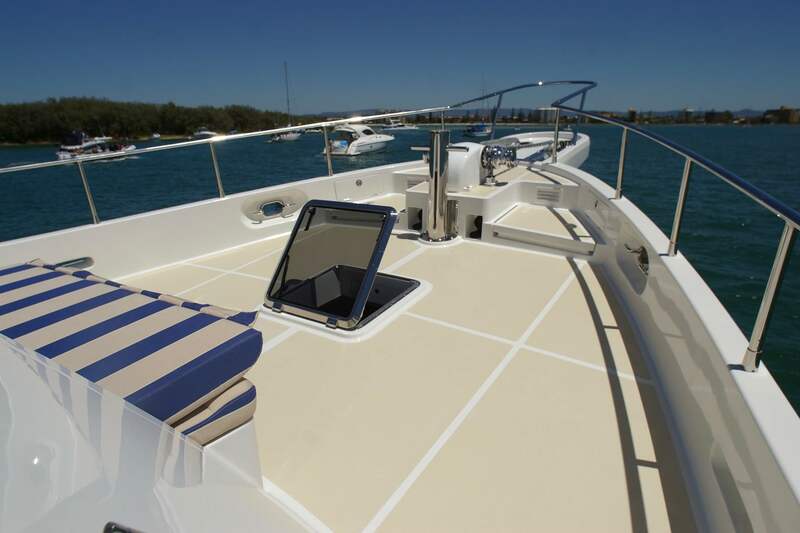 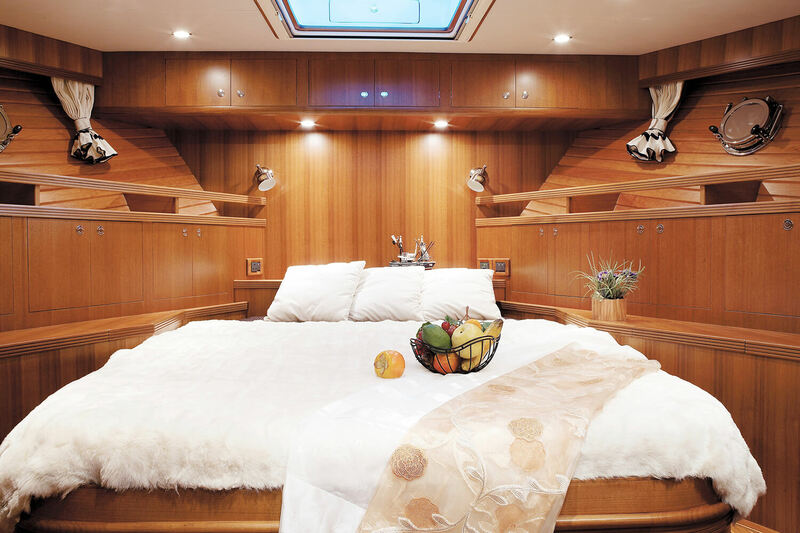 The Selene 60 is a perfect transitional yacht between the successful Selene 53/54 and Selene 62/66 series. 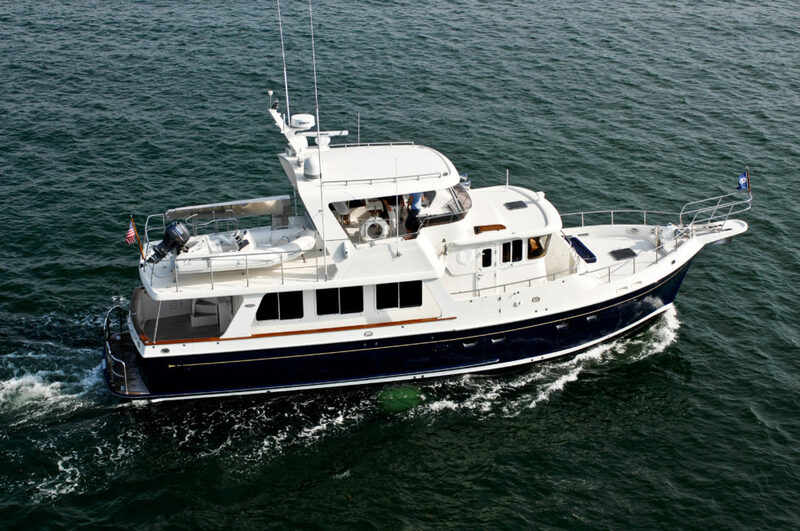 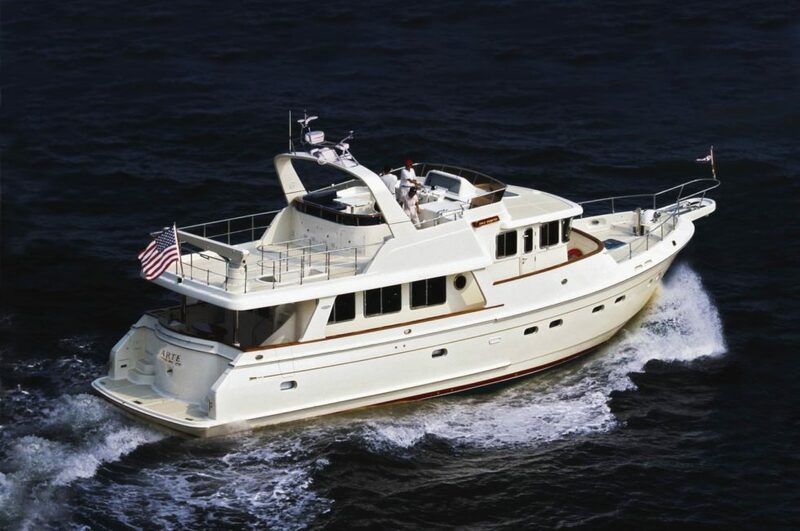 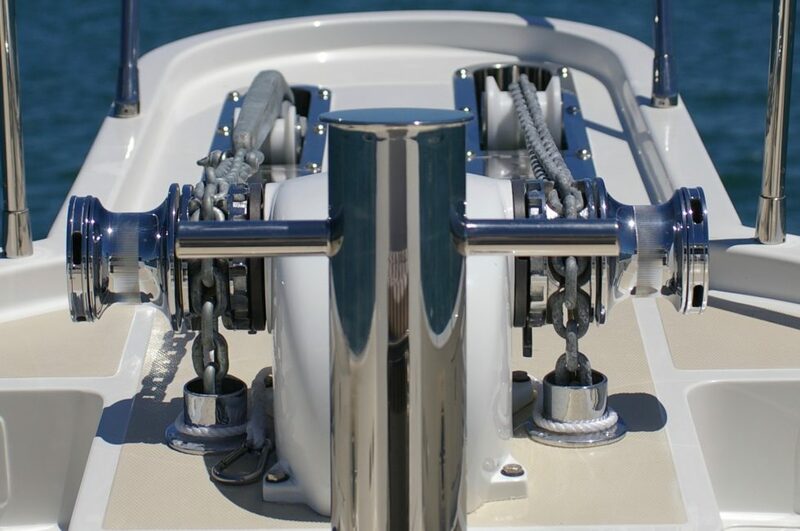 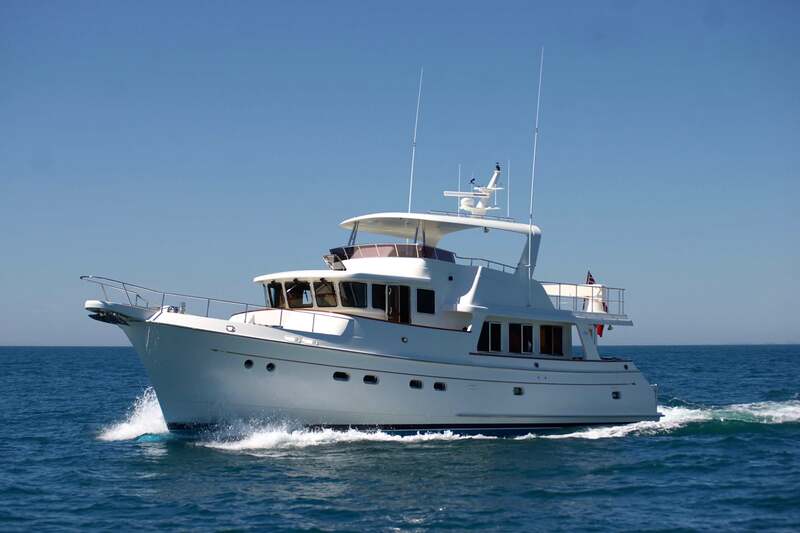 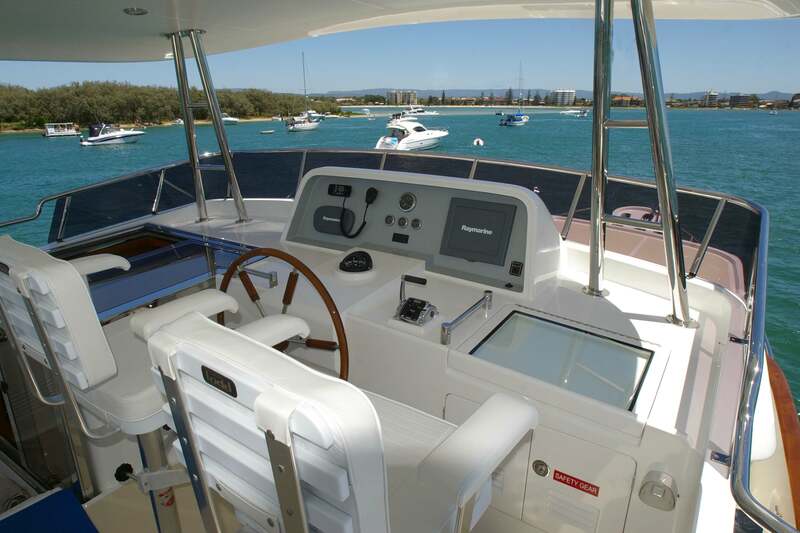 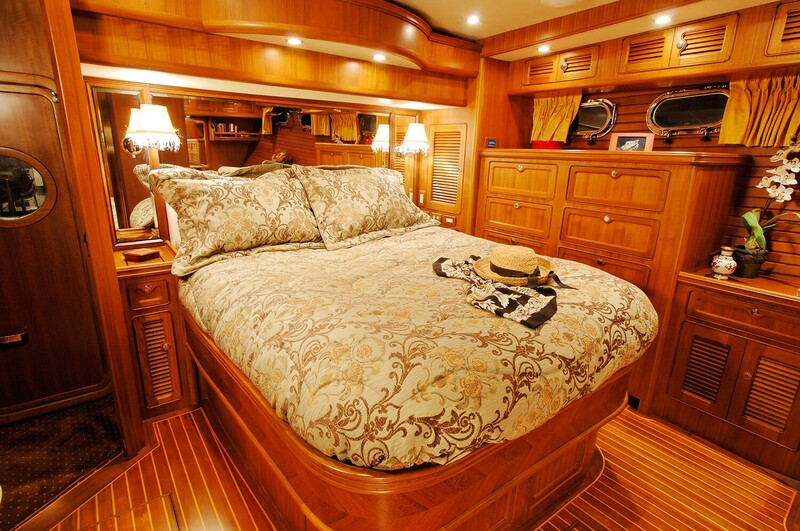 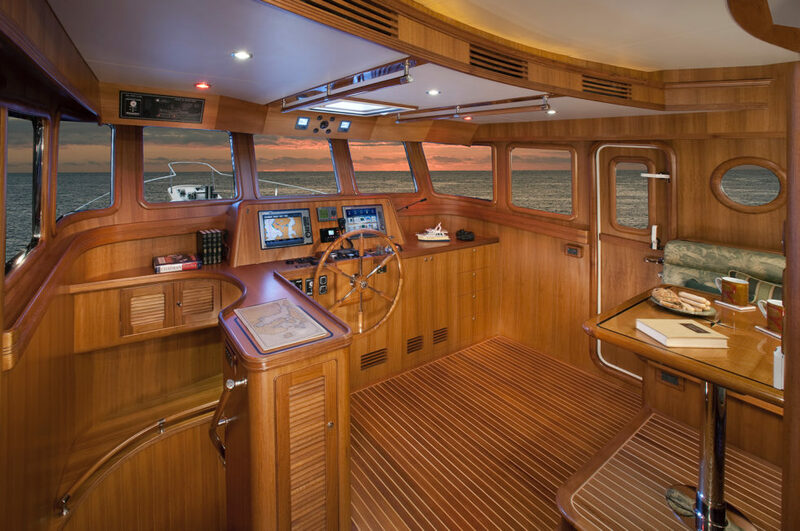 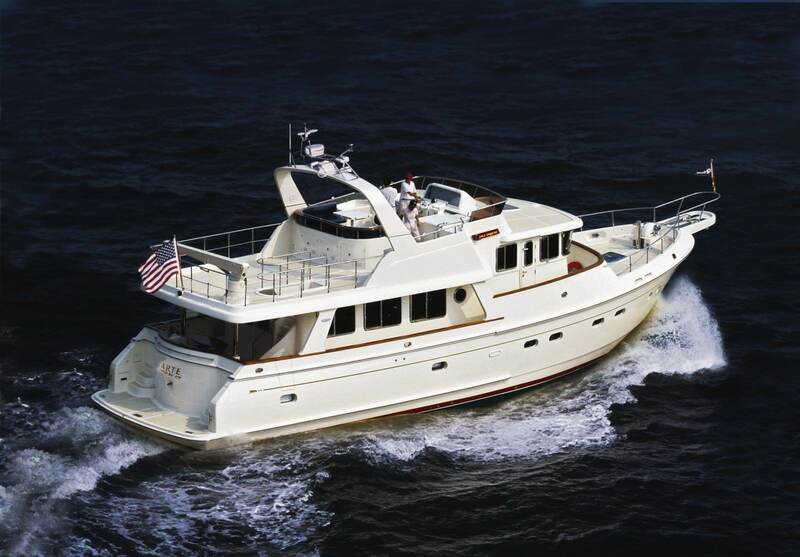 She features a full-height engine room, a separate crew’s quarters aft with a transom door. 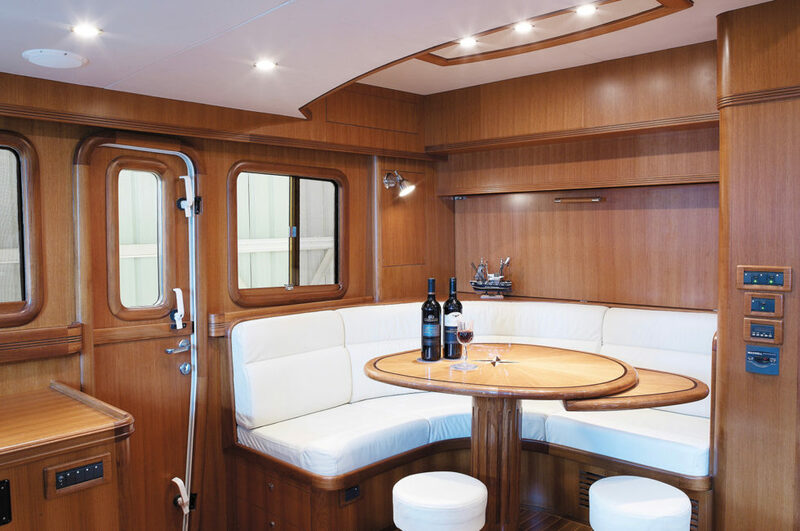 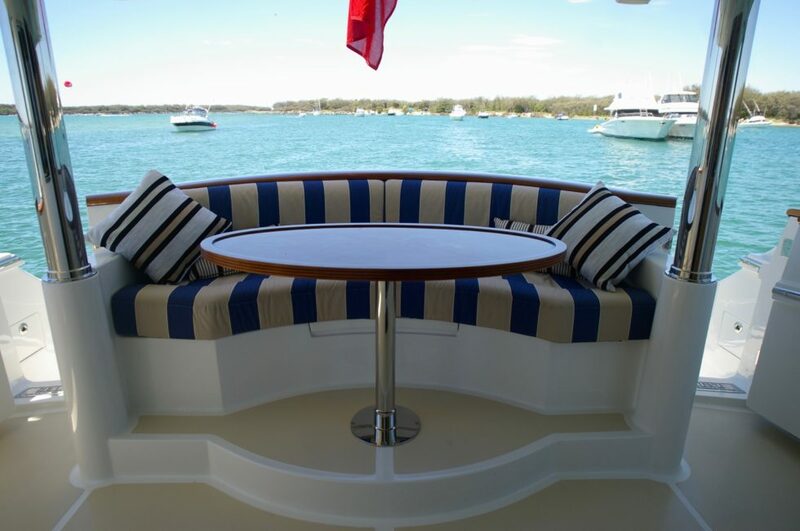 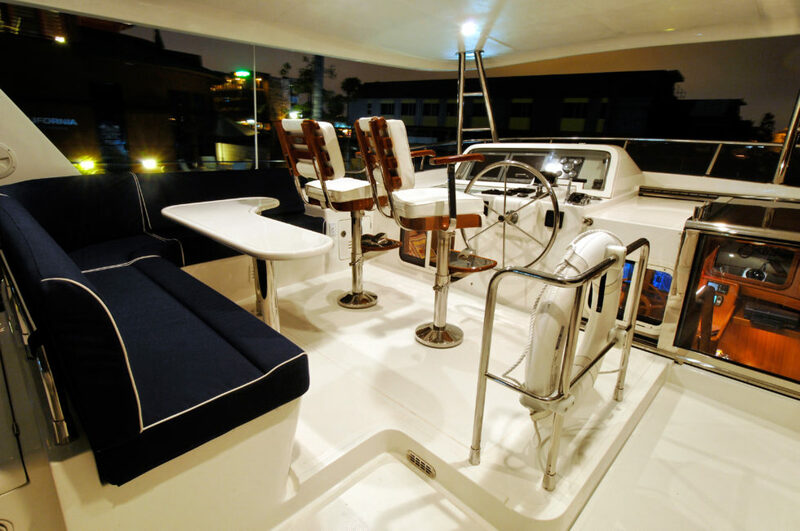 An expansive and functional flybridge layout incorporates a 10-person U-shaped sofa with a built-in BBQ, sink and refrigerator. 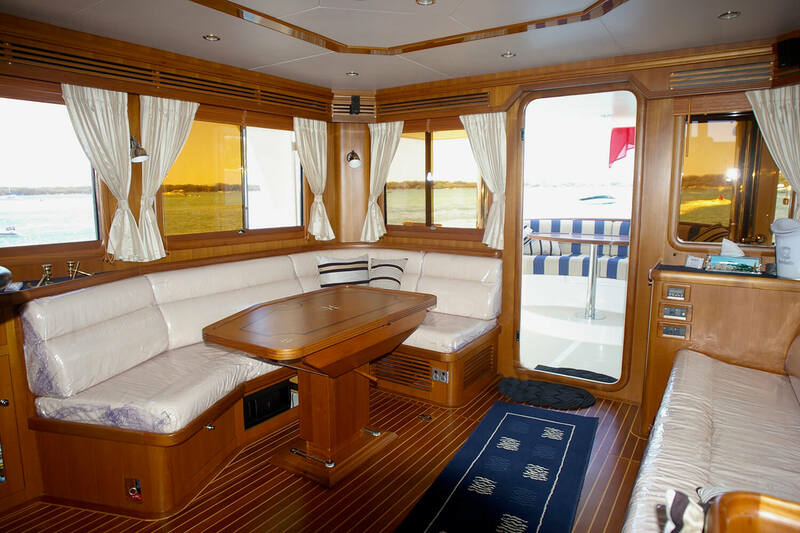 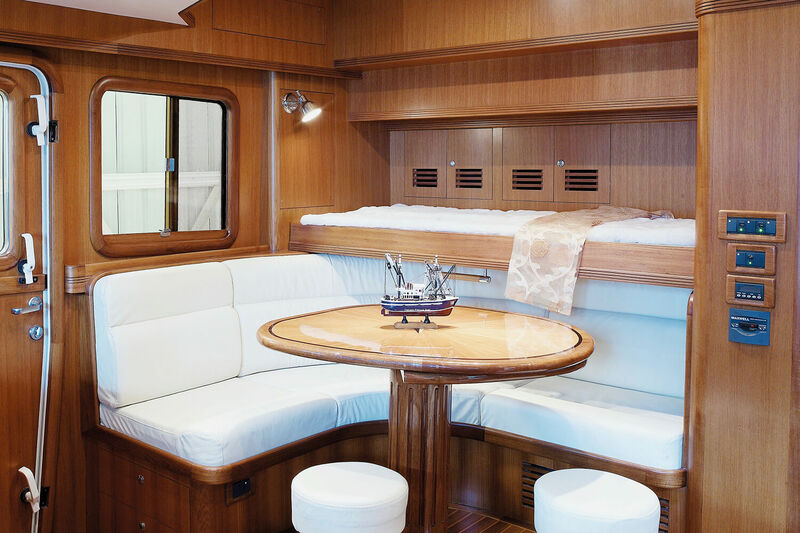 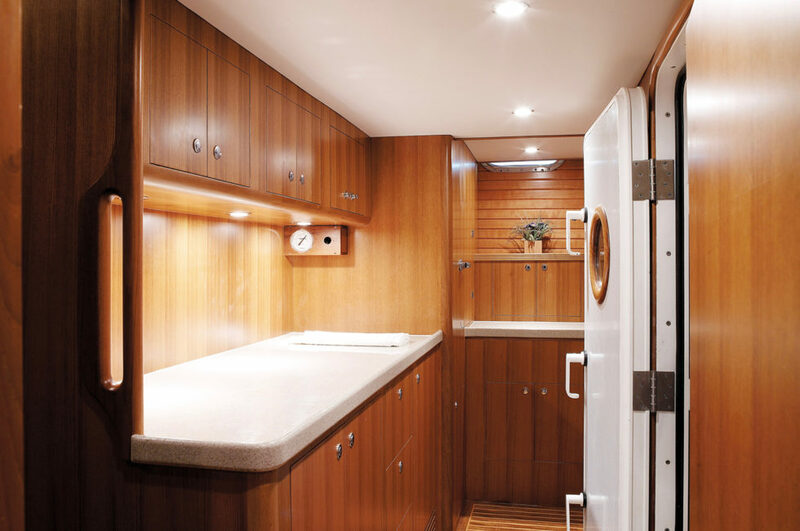 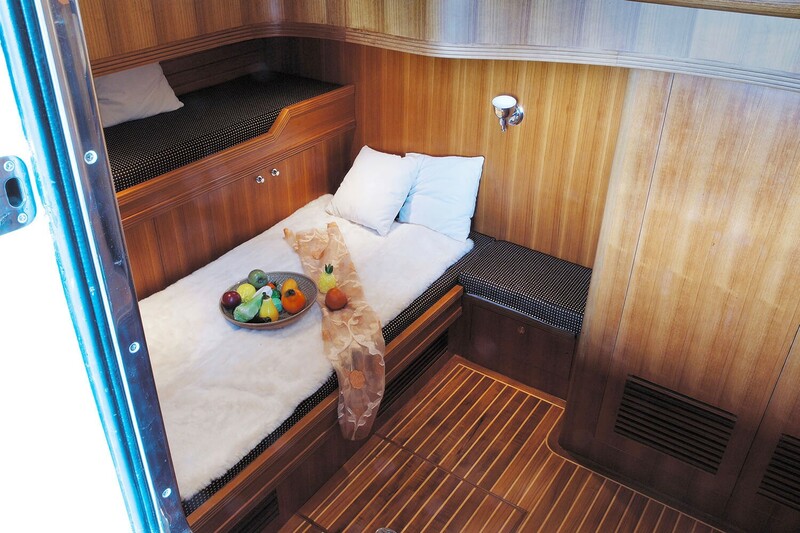 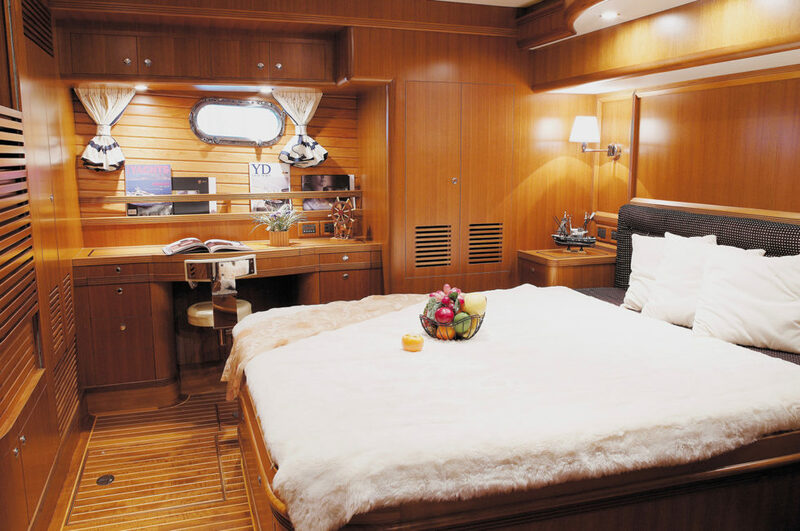 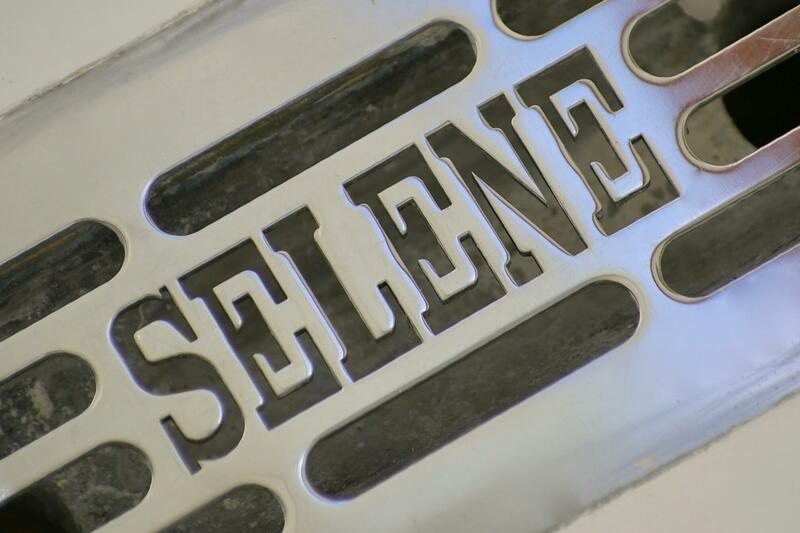 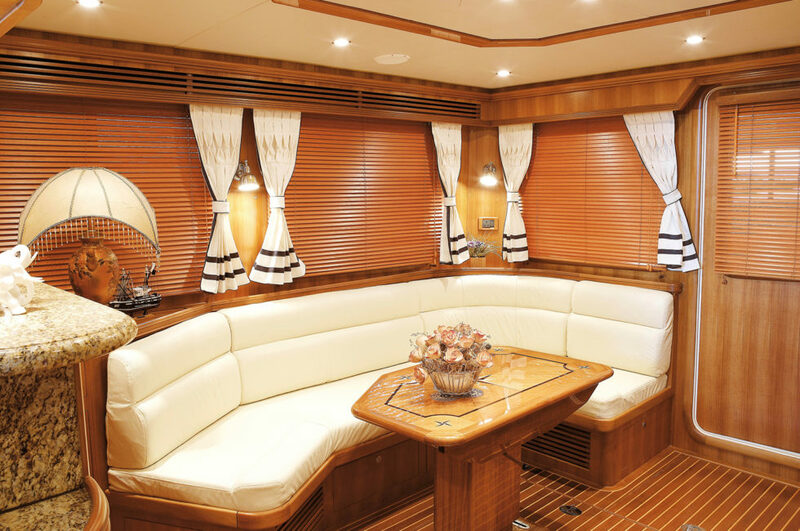 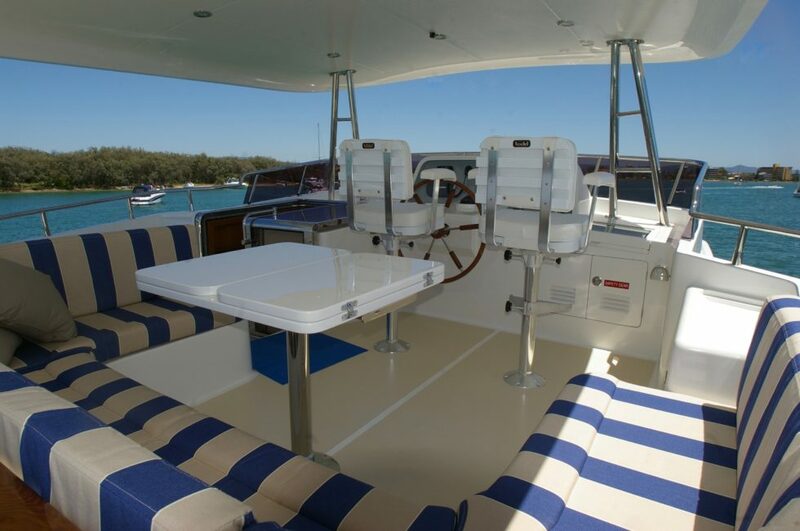 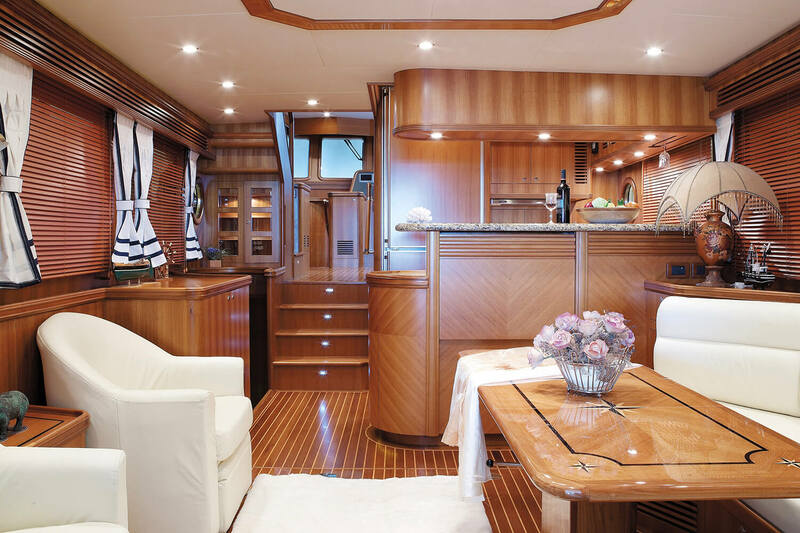 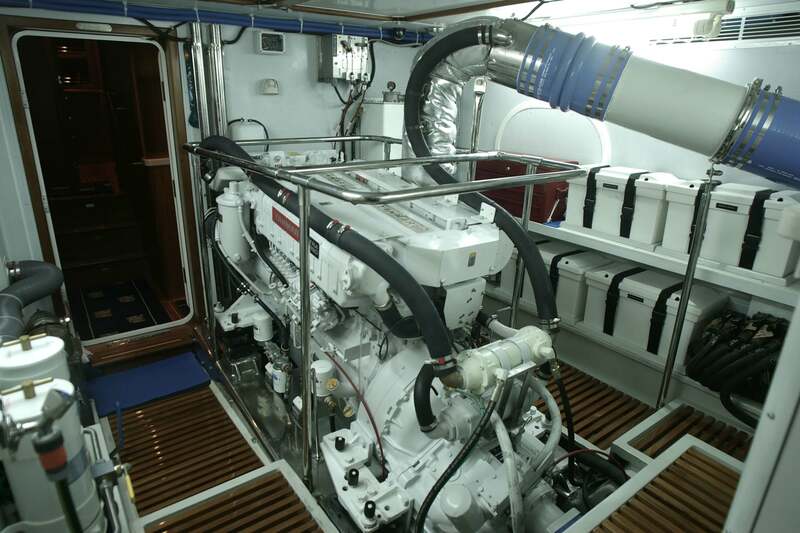 One of the unique selling points of the Selene 60 is its full-height commissary, or utility room, that is placed between the owner’s cabin and the engine room for storage, freezer, washer/dryer and access to the electrical compartment.